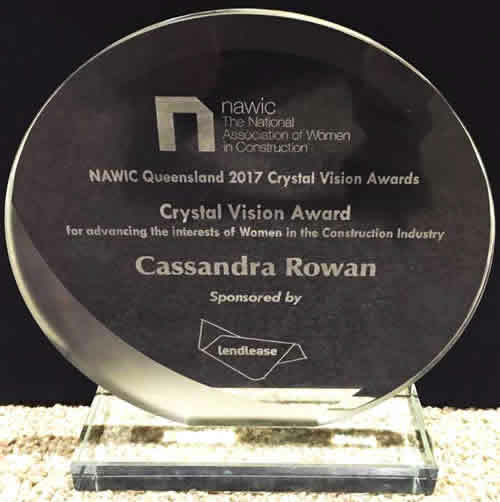 Cassandra Rowan , Key Account Manager Qld Electrical CSG, was excited to be nominated as a finalist for the achievement award for the Business Woman of the year at the NAWIC (National Association of Women in Construction) awards. Upon arrival however she learned she was nominated for a more major award, the Lendlease Crystal Vision Award for Advancing the Interests of Women in the Construction Industry. And then she won it! It came about after she worked on the defects and finalising the green star qualification for the Creative Industries precinct at the Queensland University of Technology. Jeff LaCoste from John Holland was so impressed by her handling of a number of difficult issues in the process that he nominated her to NAWIC, and the rest is history. 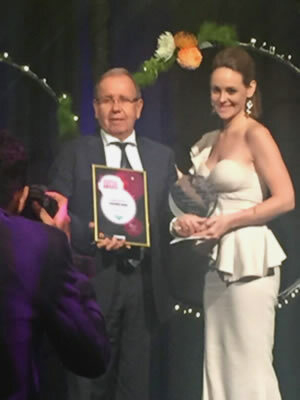 David Simpson, CEO, attended the awards night and said “Cassie accepted the award with grace, and delivered an inspirational speech to the 500 strong audience, including many Fredon clients. I know this will inspire our workforce and encourage other female employees to join Fredon. Please join me in congratulating Cassie on her achievement.